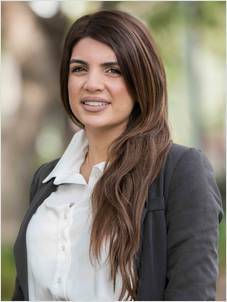 With over 7 years of Property Management experience, Michelle Araiji is extremely passionate about her career as a Property Manager. She is committed to going above and beyond to accommodate to her Landlords and Tenants. Her professionalism and organisational skills allow her to manage each individual investment to the highest standards ensuring she delivers quality service to her clients. She strongly believes the relationship between agent, tenant and landlord is crucial. As a problem solver, Michelle is always able to think on her toes and likes to keep up to date with current Legislation as well as ensuring that all checks are thoroughly met to best meet her clients differing situations. She believes in communicating a number of key messages to tenants including their rights, the seriousness of late payments and the expectations associated with the up keep of the property in order to eliminate any issues arising. Her enthusiasm, determination and impeccable people skills will be the key to helping her succeed even further in her career.